3rd Cardiological Oncology Meeting / Heart Failure - Livemedia - Livestreaming and archiving, broadcasting on demand, conferences, congresses, events, courses, webinars, reportage and news. Livemedia web channel. 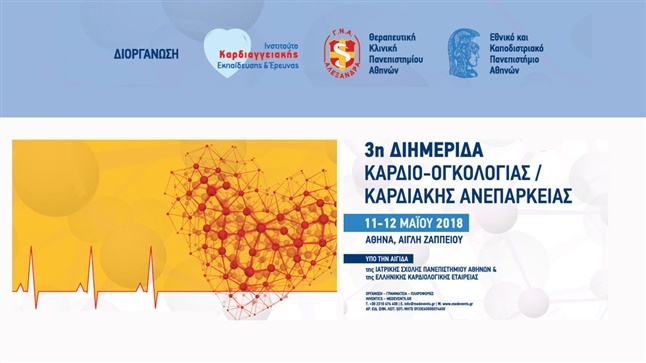 Watch the 3rd Meeting of Cardio-oncology / Heart Failure to be held on 11-12 May 2018 in Aigli Zappeion, Athens. 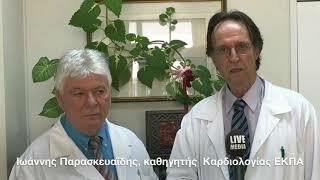 Περιστατικό από την Α΄ ΚΑρδιολογική Πανεπιστημιακή Κλινική Γ.Ν.Α. "Ιπποκράτειο"